Page 294 of PowerPoint tutorials, presentation essentials, personality interviews, and PowerPoint news. Color as a solid swatch may be an absolute value such as red, blue, green, yellow, etc. but to take a picture and then decide a color for that picture is an objective task! Can you just allot one color for a picture of a garden that shows a blue sky, green meadows, and multi-colored flowers? Probably not. Or maybe, you can just choose green as a dominant color in that case! Whatever choice you make, there will be times when you need a picture that has a predominant red value or a primary grey value, or a foremost value of some other color. Fortunately, Bing’s Image Search has some great filters that let you percolate your search results to any color! Learn how to search images in Bing by using the built in color filters. We first bring you an exclusive interview with Mitch Grasso of Beautiful.AI, who talks about their amazing, intelligent presentation platform. 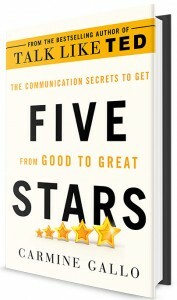 We then bring you Carmine Gallo in another exclusive feature, where the celebrated author discusses his new book, Five Stars: The Communication Secrets to Get from Good to Great. Jerry Weissman brings us another thought-provoking post, where he puts forth five questions that will make your meetings more productive. And in yet another exclusive, Brian Washburn talks about his new book, PowerPoint: Your Co-Facilitator, that is published by Association for Talent Development. We have updated our Bing Image Search series tutorials, and this week we explore Bing's Search by Image Size option. 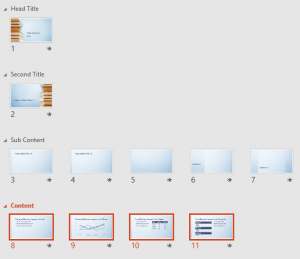 PowerPoint 2016 for Windows users will learn so much from our Reordering Sections and Viewing Sections tutorials. PowerPoint 2016 for Mac users will benefit from our Insert Pictures tutorial. And if that wasn’t enough for this week, make sure you do not miss the quotes, press releases, and templates released in the last week. When you insert a picture on your PowerPoint slide, you are doing a task that is frequent and commonplace. And to you, this may look like an activity that's simple, but behind this simple task, there are options you may not be aware of. You can link to a picture rather than insert one. This means that if you make changes to your original picture, PowerPoint will update its copy on the slide! Unlike in Windows versions of PowerPoint, there is no option in PowerPoint 2016 for Mac to insert online pictures. If you must use online pictures, you could use two workarounds, and both of them are not perfect but can help in some cases. Explore options for inserting online pictures in PowerPoint 2016 for Mac. Brian Washburn is the co-founder and CEO of Endurance Learning, a boutique instructional design firm whose vision is that every presentation can be engaging and lead to change. His goal in life is to rid the world of the scourge of poor learning experiences. In this interview, Brian discusses his book, PowerPoint: Your Co-Facilitator, published by ATD. Learn how you can search images using Bing’s amazing image search functions. We first re-explore our updated article on how Office 365 programs are updated. We also focus on an interview with Jerry Weissman from a decade ago and find it amazing that everything he said is valid even today. PowerPoint 2016 for Windows can learn so much about Sections, such as getting started with them, adding and renaming, moving slides between sections, and removing them. PowerPoint 2016 for Mac users can explore Theme Fonts. And if that wasn’t enough for this week, make sure you do not miss the quotes, press releases, and templates released in the last seven days. 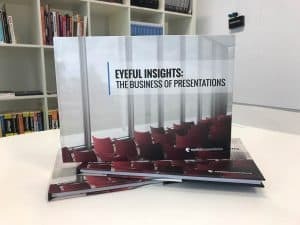 Eyeful Presentations, a leading presentation design consultancy and the people behind the internationally acclaimed book The Presentation Lab, announce the launch of their annual Eyeful Insights Journal. Presentations are a key tool in the C-Suite communication toolkit, yet widely misunderstood and too often seen as a process to be run by junior team members rather than embraced by business leaders. Learn how to insert a picture on a slide in PowerPoint 2016 for Mac.